Moving into your Crownsville custom home will be a memorable experience – here are some tips for making it more efficient. Packing up your life and moving from one place to the next is a lot of work. There’s a lot to remember and adjustments to make to your new place. A new commute, new neighbors, and even building up your pantry all over again. When you move into your first home, imagine that list but amplified. With more space, you can spread out, and because it’s completely yours, you can put your personal touch of style on everything. Moving into your Crownsville custom home will be a memorable experience – here are some tips for making it more efficient. 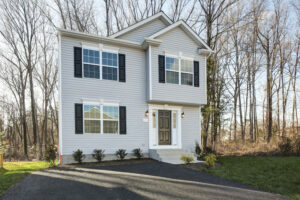 Take your time before you move into your Crownsville custom home to get organized. As you’re packing, be sure to create a labeling system for your boxes, bags, and containers. Another great tip is to gather your boxes and bags together by room so that when you move into your home, you’ll be able to take those items directly to that space. Also, because moving can be physically laborious, look through your belongings and purge things that you don’t use items you don’t need, and any duplicates. It’s likely that your home will have much more space than your apartment. Allow yourself to spread out and design the home that you’ve always wanted. Guest bedrooms, a game room, or even an in-home movie theater. Design each room with your personal style and purchase the décor and accessories that will fill the house and make it feel like home. Once you’ve moved into your new home in Crownsville, it’s a great idea to keep a maintenance checklist. When you lived in an apartment, all you had to do was call a team member from the rental office to do the work. Now, all those responsibilities will be yours. Remember to check and clean your plumbing fixtures and HVAC components. Keep your drains and gutters clean and replace the air filters. Make sure that your home has adequate fire protection on each floor and an escape plan that you practice with your entire family. Cedar Square Homes provides a variety of services to our customers, including custom home building to match your needs. We are trusted throughout Maryland for our excellent service and affordable home remodeling prices. Some of the areas we serve throughout the state include Anne Arundel County, Annapolis, Crofton, Severna Park, and Pasadena. Wherever you live, you won’t regret contacting us online or giving us a call at 410-987-9771. To see more examples of our work and stay up to date on our promotions, follow us on social media on Facebook, Twitter, Google+, and Pinterest.